Congratulations on your decision to purchase a new home! Jim Paulson, the owner/broker of Progressive Realty has taught home buyer education classes for nearly 20 years in the Boise area so we can definitely assist with the home buying process! Your first step toward buying your new home will be to analyze your family’s needs. We would be happy to assist in analyzing your needs so that you will be able to get a clear picture of exactly what your new home should be. Knowing your needs actually comes before you get pre-approved for a mortgage! First, you should write down what you are looking for in your new home. Determine your "must have" items based on minimums (i.e. 3+ bedrooms, 2000+ sq. ft., Boise School District or Meridian School District, etc.). 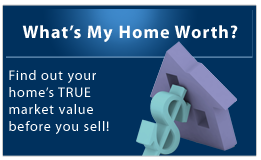 Decide what price range you feel comfortable with monthly payments on your home. Just because you might qualify for a larger mortgage doesn't mean you should! Second, establish a time frame that you would like to stay within for buying your home. If you bought an existing home today in the Boise area, it will take 30-60 days to close typically. A Short Sale may take 4-12 months! 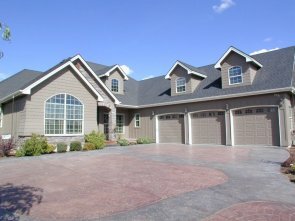 I have yet to close a short sale in Boise or Nampa in less time than it would take to build a custom home! If you can't find 85-90 percent of what you are looking for in an existing home, and if new construction is in your budget, we should discuss building a home since it only takes 90 days to 120 days in most cases. Now that you know your needs vs. wants and your timeframes for moving into your next home, we need to work on the financing options! Not all lenders specialize in the same products (i.e. first time home buyer loans, Idaho Housing grants, Boise City affordable housing, Idaho Construction loans, Idaho VA loans, Idaho 203K loans, etc.,) so let's discuss which programs work best for you and then we will make an appointment with the lender that is right for you! 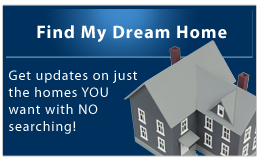 Then, use the "dream home" program on this website to help you find the right home that meets your criteria. This website is designed to send you only the homes that meet your criteria from the Intermountain MLS system (multiple listing service). When you find the ones you want to look at, just contact one of the agents at Progressive Realty Corporation and we will be honored to show you the homes!